We have Weekly Specials this week from Bergara, Henry, Weatherby, Grand Power, CZ-USA, Mossberg, Rock Island Armory, and this Volquartsen Scorpion. 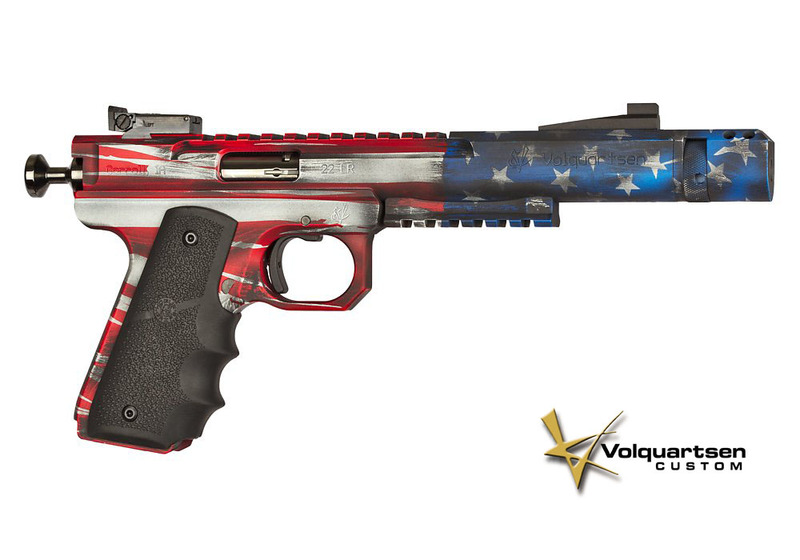 New for 2018 at Gallery of Guns is the Volquartsen Custom American Flag Scorpion. The Scorpion has a patriotic Battleworn USA Flag Cerakote finish on its LLV Competition Pistol Upper and VC Target Frame. It features a six inch barrel with compensator, adjustable target sights, Hogue grip, and a competition bolt. The Scorpion is the ultimate target pistol!